Free shipping. Buy direct from HP. 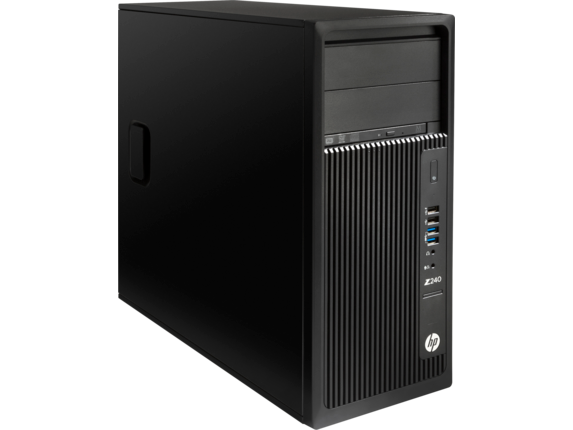 See customer reviews and comparisons for the HP Z240 Tower Workstation - Customizable. Upgrades and savings on select products. 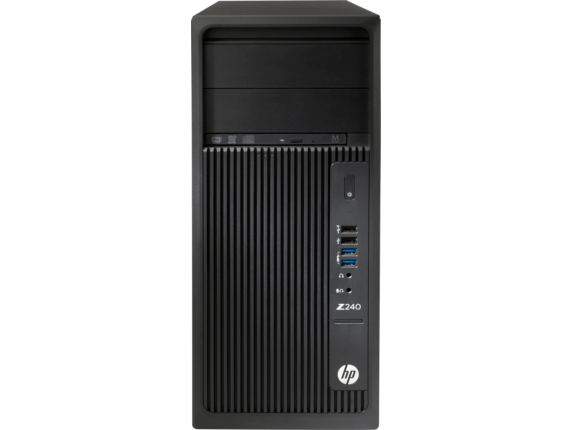 Powerful processors, graphics, memory, and two optional ultra-fast HP Z Turbo Drives  make the HP Z240 Tower a true workstation-class solution. Handle your growing and complex workloads with performance for any stage in your work process. If you want all of the capabilities a workstation can provide on your terms, the HP Z240 Tower Workstation can bring it to your office. With a ton of firepower and the level of customization it takes to make your vision for a perfect computer a reality, you'll have a great device to get serious work done. 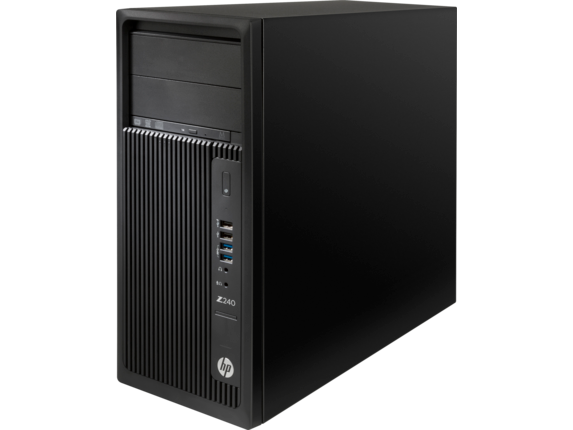 For a computer ready to be pushed to the limit, you can't do better than the HP Z240 workstation. Whether you choose the 6th Generation Intel® Core® i5 processor or as much power that an Intel Core i7 processor can provide, you'll have the CPU force it takes to tackle anything. And if an Intel Core processor isn't what you're looking for, you can find the right fit with options to add anything from an Intel Xeon® E3-1270 v6, to an Intel Xeon E3-1280 v5 processor. The wide range of DDR4 memory choices - from 8GB to as much as 64GB - means that your computer will be able to take on any task that lands on your desk, no matter how resource-intensive it is. The options don't end there, though, because you have your pick of powerful graphics cards, too. Whether you desire Intel HD Graphics 530 or the results you can get with something like the powerful NVIDIA® Quadro P5000 (16GB) Graphics Card, you can choose whatever you want to shoulder the load. 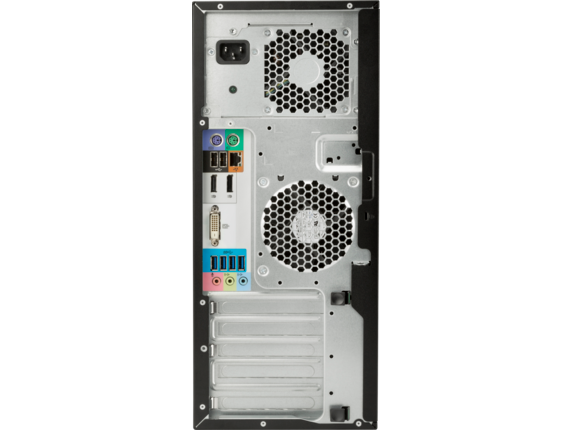 By choosing the HP Z240 Workstation, you get top-tier power matched with the opportunity to add the components you want to get the total package that’s right for you. And with HP’s selection of other products, you can get everything in one convenient place. To get your work done right, we know how important it is to have a high-quality monitor to see every detail. With the HP EliteDisplay E243 23.8-inch Monitor, you get a large screen to see everything in Full High Definition (FHD) quality with the ability to adjust your display in four ways for maximum comfort. Whether you want a standard keyboard for your HP Z240 or the space-saving convenience that comes with a wireless keyboard, the choice is yours. And for extra security, when you choose an HP keyboard with a Smartcard reader, you'll have an extra layer of protection for those critical projects. With standard or USB mouse options available, you'll have the tools that keep you effective. And with up to three slots to include additional internal storage, you'll never have to worry about having enough space. From a reliable 500GB HDD to an efficient 2TB SSD option, these hard drives deliver great speed and abundant space, so you have the ability keep your work backed up for a long time to come. When you choose the HP-recommended Windows 10 Pro 64, you get an operating system built to make your busy day a whole lot easier. Features like Remote Desktop help you work in whatever way is easiest for you, even if that includes accessing your computer from miles away. Security matters no matter how you're working, so you'll enjoy the device encryption features that come installed from day one. And with BitLocker, you'll have a program that can encrypt your disk drive and stop malware at a firmware level. For extra security, adding a tool like the HP Solenoid Lock and Hood (Tower) Sensor means you'll even be able to prevent access to the inside of the chassis to keep your device tamper-proof. And to keep your energy costs manageable, you can rest easy knowing your device is ENERGY STAR® qualified. When you're putting together a workstation computer, you want to make sure it can reliably take on huge tasks for as long as you need it to. With the HP Z240, you get all of the power you're looking for and all of the freedom you desire to build a machine that keeps you pushing forward.